Are you placing people higher than they ought to be? This is the question I asked myself when reading this book. God is self-existent, self-sufficient, eternal, immutable, omnipresent, omniscient, omnipotent, sovereign, infinite and incomprehensible. Are you putting these labels on yourself or others? At first glance, you would say no, I don’t place these expectations on other people but as she started to define each characteristic, I realize that I do and its time to change. 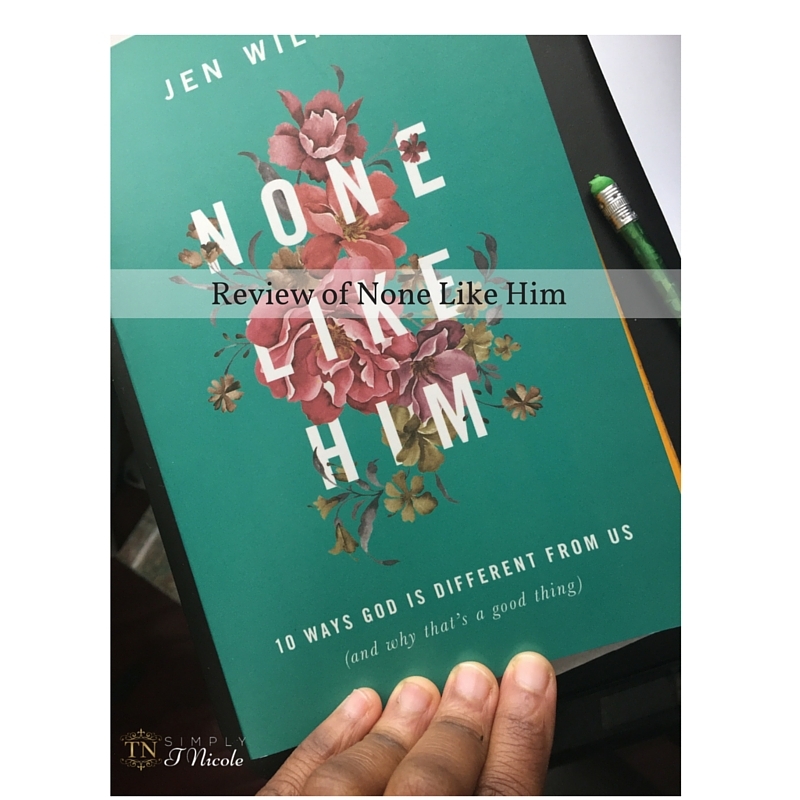 Jen Wilkin has a great way of explaining how once can easily mistake God’s trait for a human one. I realize if I stop putting human qualities on God’s character it would make working with people a lot different. Wilson has shown me several things. I have a tendency to grow disappointed in people, and when I do, I will stop talking to the person. Wilkin points out “Some of us have had pastors or spouses or political leaders whom we believed could never disappoint us only to learn that they, too, had limits. It is no coincidence that we commonly speak of this kind of a letdown as the toppling of an idol. When we ask another human to be unlimitedly trustworthy in any area, we are asking someone who is “only human” to be God. Another area I dealt with is self-sufficiency believing that I did it all on my own. Wilson shows signs of revealing self-sufficiency which include prayerlessness, forgetfulness, anger in trial, lack of conviction of personal sin. “Only God is self-sufficient, Only God has no needs. You have them, and so does your neighbor. I love to plan ahead in so much that I expect that plan to come to pass and when it doesn’t I get upset but Wilkin reminds me that only God knows the future. “When we work to redeem the time, we reflect our Creator. God is the ultimate time-redeemer: He redeems all of the time, and he redeems at just the right time. We are charged with redeeming the years he has given to us as a reasonable act of worship. My marriage was set on I will never hurt you but not realizing that the word never placed a Godly attribute on human man leaving it almost impossible to forgive. Wilson states, “When we apply the terms always or never to other people, we speak an untruth. Human beings don’t always or never anything. We just aren’t that consistent. We frequently, we fairly regularly, we often or habitually, but we do not always or never. “Idolatry takes hold of us hewn we believe that a difficult relationship or circumstance will never change, will always be hopeless, wounding or sorrowful. According to Wilkin, the answer to the problem is. This book was real to my life, and I believe it will be real to yours as well. When we let go of thinking beyond ourselves regarding what we can do and realize there are things that only God can do we will be more inclined to listen and follow God. So now to the book part how can you obtain this book? They have a Facebook page this is a book worth getting. desire… HaHa). You definitely set a brand new spin on a topic thats been written about for years.